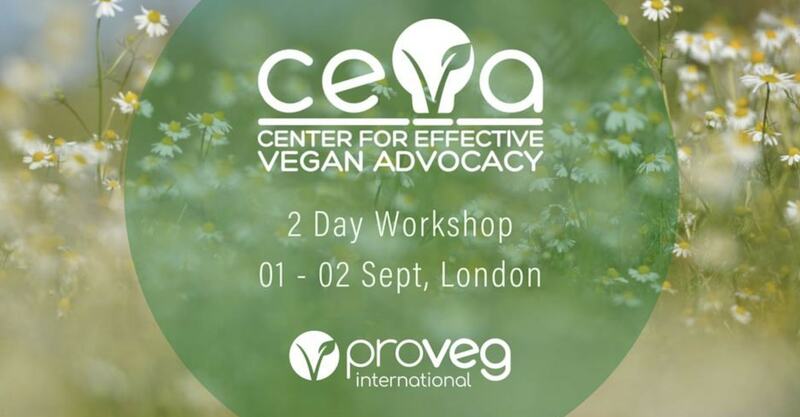 The Centre for Effective Vegan Advocacy [CEVA] is holding its internationally renowned training event in London on September 1 and 2. The two-day event, which will be held at Bankside House, is led by Dr. Melanie Joy and Tobias Leenaert who have over 30 years of combined experience in vegan advocacy. It aims to increase the impact of individual advocates and to provide participants with tools to increase the effectiveness of the organisations they may be affiliated with. It is only the second time it will be offered in the UK. The workshops cover the following topics: Making a difference for Animals, Effective Communication, Effective Vegan Advocacy, Making Compassion Easier: Normalising Veganism, Strategic Vegan Outreach and Sustainable Activism. According to a spokesperson for CEVA: "At the Centre for Effective Vegan Advocacy, we aim to empower the vegan movement by empowering vegan advocates and organisations. "Through offering on-site training, grants to qualifying organisations, and a strategy resource centre, we seek to increase the effectiveness of vegans and vegan organisations and therefore to increase the impact of the vegan movement as a whole." Amy Odene, Campaign Manager at ProVeg UK, which is hosting the event says: "It's all about effective communication. We have all been there; at work, a family occasion, a meal with friends, a casual chat with your neighbor where we have been caught up in an unproductive exchange about eating animals. "It inevitably ends with you forgetting those mic dropping facts you were sure you had committed to memory and you never wanting to speak to these people again. "CEVA offers you the tools to facilitate meaningful, sustainable and useful conversations with those around us, essential to the furtherance and success of the movement." Tickets cost £40.00 plus £3.71 Eventbrite fee. Using the code CEVAEARLYBIRD18 you can also get £5.00 off.